Hematopoiesis is an intricate, well-regulated, and homeostatic multistep process that allows immature precursor cells in the bone marrow to proliferate, differentiate, mature, and become functional blood cells that transport oxygen and carbon dioxide; contribute to host immunity; and facilitate blood clotting. In the early 1900s, scientists recognized the presence of circulating factors that regulate hematopoiesis. Scientific progress was slow until it became possible to purify sufficient quantities to evaluate the characteristics and biologic potential of the isolated materials. 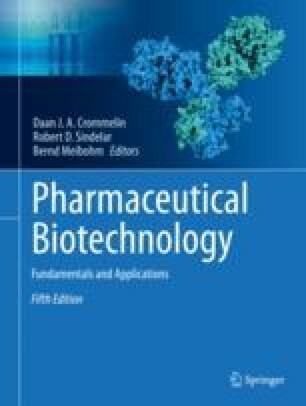 The introduction of recombinant DNA technology triggered a flurry of studies and an information explosion, which confirmed hematopoiesis is mediated by a series of hematopoietic growth factors (HGF) that acts individually and in various combinations involving complex feedback mechanisms. Today, many HGF have been isolated; some have been studied extensively, and a few have been manufactured for clinical use. In this chapter, the HGF molecular structure and mechanism of action, its main pharmacokinetic and pharmacodynamic properties, as well as the clinical indications and main toxicities are described. Doshi S, Perez-Ruixo JJ, Jang GR, Chow AT (2009) Pharmacokinetics of erythropoiesis-stimulating agents. In: Molineux G, Foote MA, Elliott S (eds) Erythropoietins and erythropoiesis: molecular, cellular, preclinical, and clinical biology. 2nd edn. Birkhäuser Verlag AG, Basel, pp 195–224. Doshi S, Krzyzanski W, Yue S, Elliott S, Chow A, Pérez-Ruixo JJ. Clinical pharmacokinetics and pharmacodynamics of erythropoiesis-stimulating agents. Clin Pharmacokinet. 2013 Dec;52(12):1063-83.